Chignon hairstyles have always been a little intimidating. How do you get your hair to lay perfectly? As hard as they might look, chignon buns are an easy DIY updo you can do on your own! It might take a little practice at first, but then again, what hairstyle doesn’t? There are a few different ways you can style your hair into a chignon bun. Chignon hairstyles are easy to achieve with long or short hair. All you need are the right tools, a bunch of bobby pins and a little hairspray. It is a classy and versatile style you can wear on a date to a coffee shop or for your wedding. I have a few tips, accessories and styles you can try at home if you want to style your hair into an elegant chignon bun! I think we all need the chignon definition before we can dive into the “how to” part of this post. A chignon is a french bun that has been around longer than any of us can remember. “Chignon” comes from a French word that means “nape of the neck.” That’s pretty appropriate, considering a chignon is a low bun that sits at the bottom of your head. Even though this bun has a French name, it has been around for centuries. I think it’s pretty safe to say that this is one hairstyle that will never go out of fashion. Buns are the best updos out there to get your hair out of your way. A chignon is also a nice break from your typical messy bun. There are quite a few variations of this hairstyle so even if you already style your hair this way, you might get a few ideas to try for the next time! 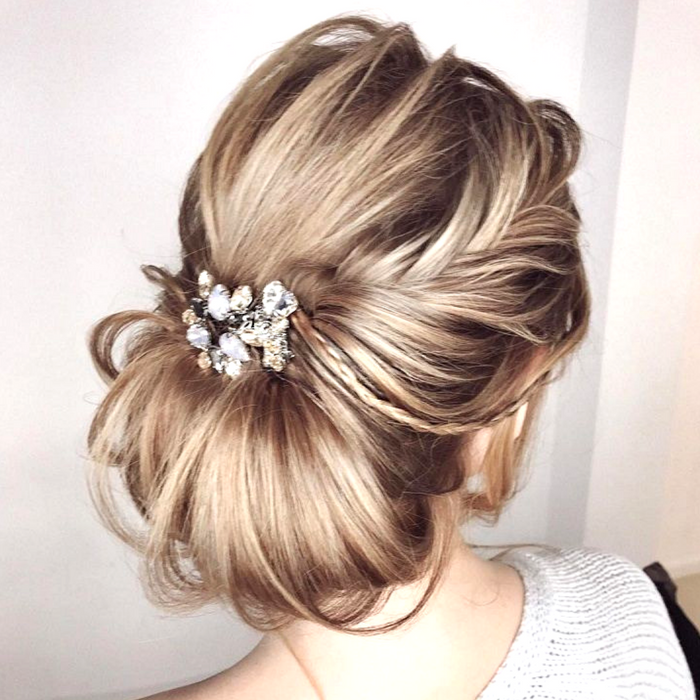 The chignon is a loose term for a low hanging bun. Most of us are used to chignon hairstyles being perfectly styled and smooth. More like a businesswoman’s updo than a fun and easy updo for anyone. But that isn’t the only style you have to stick with! Adding your technique to this style won’t change it too much. You could try a messy chignon, a side bun, or even a braided chignon. That’s only the tip of the iceberg! Just add your own flare and make it the best hairstyle for you. You can make it fit the occasion you are attending as well. If you want to put your hair up to get it out of your way while you do some errands, you could try a messy chignon. There is pretty much no wrong way to do a messy chignon or any other messy hairstyle. Messy updos are everyone's go-to hairstyle for that exact reason! 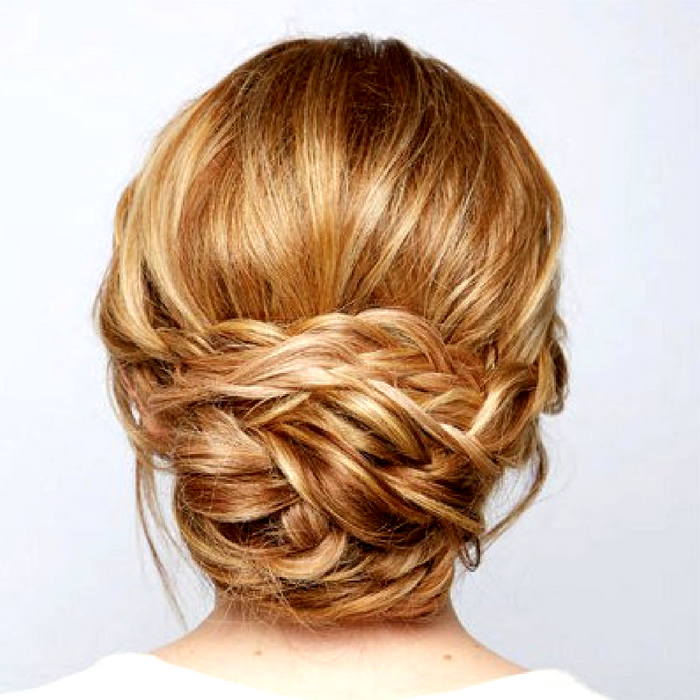 You could also try a side chignon as a cute look for a date. It’s easy to do. You just have to move it over a bit. A side chignon might be a little bit easier for women with medium to longer hair length. If you are looking for an elegant wedding bun hairstyle, you should consider a braided chignon because it’s a mix of playful and sophisticated. It doesn’t have to be perfect either. You could loosely braid the front to frame your face and make the back perfectly smooth. Or you could braid a few different pieces and have a gorgeous braided low bun. There are only a few things you need for this hairstyle. First, you will want to get a chignon maker. It looks like a ball of hair, so not very impressive to look at, but it will be a huge help when you are creating this look! If you check out the chignon makers at Sally’s Beauty Salon, you will be able to buy a chignon maker in the appropriate color for your hair. By getting one to match your hair color, it will make it much easier to hide the accessory. You will also need a bunch of bobby pins. Get the right size for your hair as well. Bobby pins come in a lot of different sizes and colors. You want to hide them as much as possible when creating this hairstyle, so make sure to get small ones if you have short or thin hair. Last, you will need some hair ties to hold everything in place. I imagine you already have these on hand, but one of my favorite hair ties are Goody’s Ouchless hair ties. They work well for me, and that’s saying something because I have thick hair and break my bands often. Whenever I try a new hairstyle, I like to check out some tutorials to get the best technique. You could check out a few fantastic chignon tutorials on Youtube if you want to do the same. After watching a few tutorials myself, it turned out that a chignon is easier than I thought. It is the perfect DIY hairstyle for you to try at home! For a classic chignon, start by sectioning your hair into three sections. You will want to have most of the hair in the section at the back of your head. At the front, you will want to take an even section from either side of your face. From where your hair starts at your temple to the back of your ear. Put a hair tie on the back section to create a low ponytail. Pull the ponytail up and use a hair tie with two bobby pins attached. Go about an inch or two above the hair tie that is keeping your ponytail in place. Pin the tie with the bobby pins across the ponytail. Then you will want to use a chignon maker that is the right size for your hair. If you have very thin or short hair, opt for the smallest size. For very thick or long hair, choose a larger size that will work better for you. Once your chignon maker is pinned firmly in place, allow the loose end of your ponytail to drop over it. Smooth it out and pin it to cover the accessory. When the chignon maker is hidden completely, you will be able to use the front pieces. Take the first one and smooth it out, twisting it slightly as you pull the section back and lay it over the top of the bun. Wrap the ends down and around the bun until you can tuck the ends into the bun and pin them out of sight. Do this with both sides for your finished look! Chignon buns aren’t too hard. You will only need a little practice! This type of hairstyle is so much fun to play with because you can try a few different looks. Braid it, twist it, move it to the side. Whatever you do, it’s going to be cute and super easy. It would even make a gorgeous wedding hairstyle. You could save a little money and try out the perfect chignon bun for your bridal look. So if you used to be intimidated by this style, fear not. 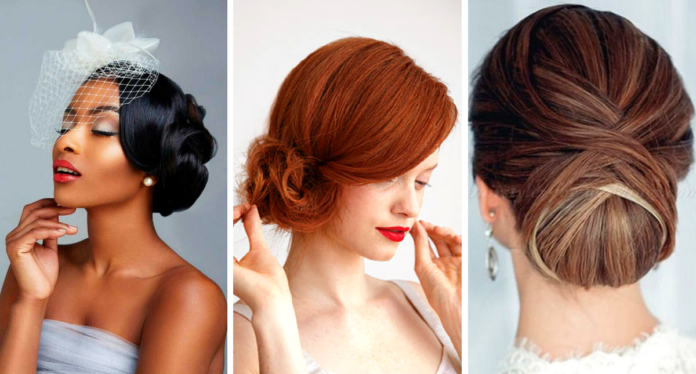 The chignon has been around for so long, and it is never going to fall out of style. It’s also the perfect way to keep your hair out of the way in an elegant style no matter what you plan to do for the day. Time to bust out those bobby pins and try it for yourself!